On vacation kids just wanna have fun. Meanwhile parents want to unwind and be pampered. It can be difficult to find that balance between action and relaxation while traveling. 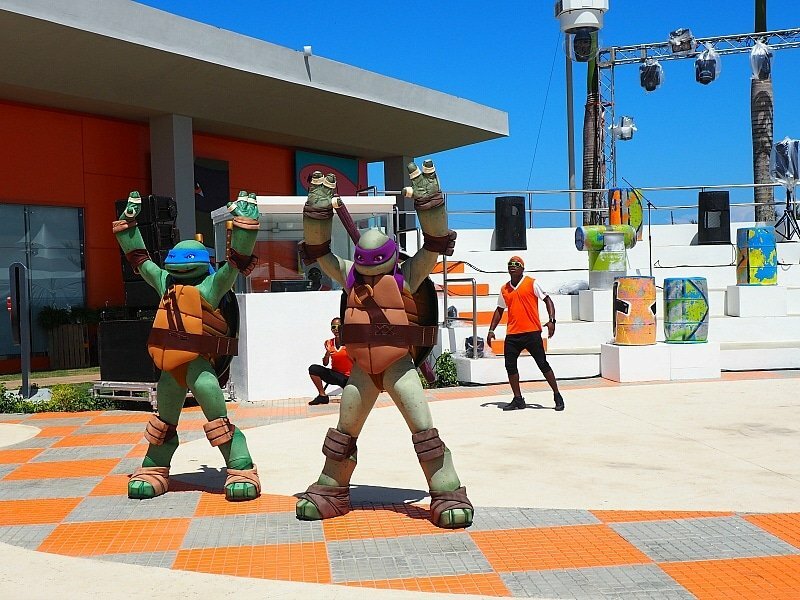 With the opening of the Nickelodeon Hotel Punta Cana, young Nickelodeon fans and luxe-loving parents can enjoy a Caribbean beach vacation together. Expect non-stop entertainment, five-star culinary experiences, water park play, and time spent with favorite Nick characters. My 6-year-old daughter and I were invited to the hotel’s grand opening celebration and we BOTH had the best time. 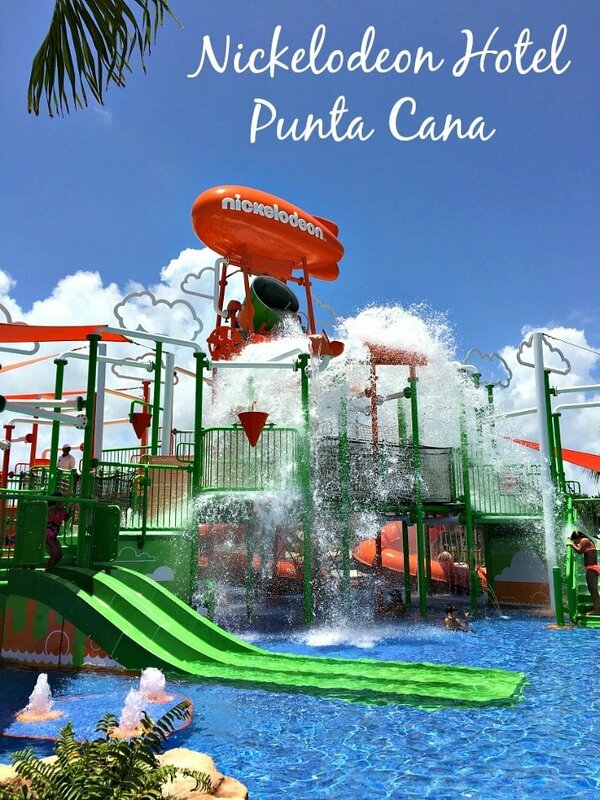 Check out these 10 reasons kids AND adults love the Nickelodeon Hotel Punta Cana in the Dominican Republic. 4. Si, a concierge can help with that! 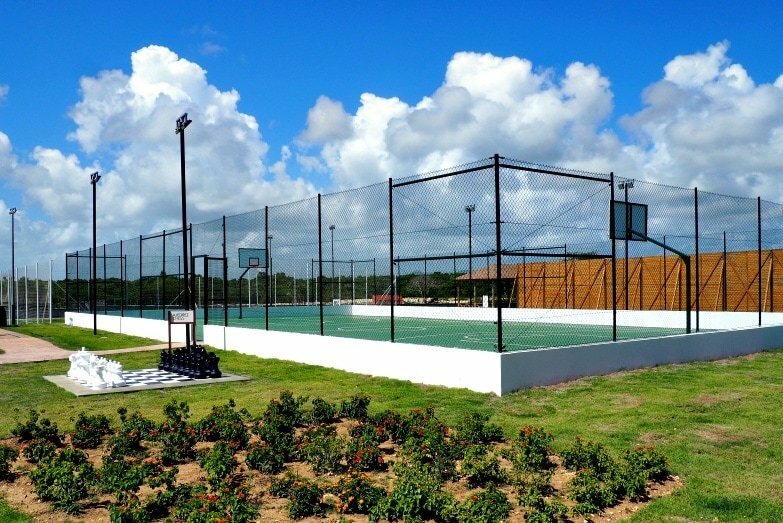 Located on Uvero Alto Beach, the hotel’s beach and infinity pool are easily accessible by foot or golf cart. Families can reserve a beach cabana a day in advance. Bonus: beach toys are available to borrow at no charge. The Aqua Nick water park offers loads of water play. From the lazy river and entry level pool, to the splash center, slides, water canyons and gigantic nose shower, water-loving kids LOVE this place. Ample lifeguards keep everyone safe but note that children need to be accompanied in this area. 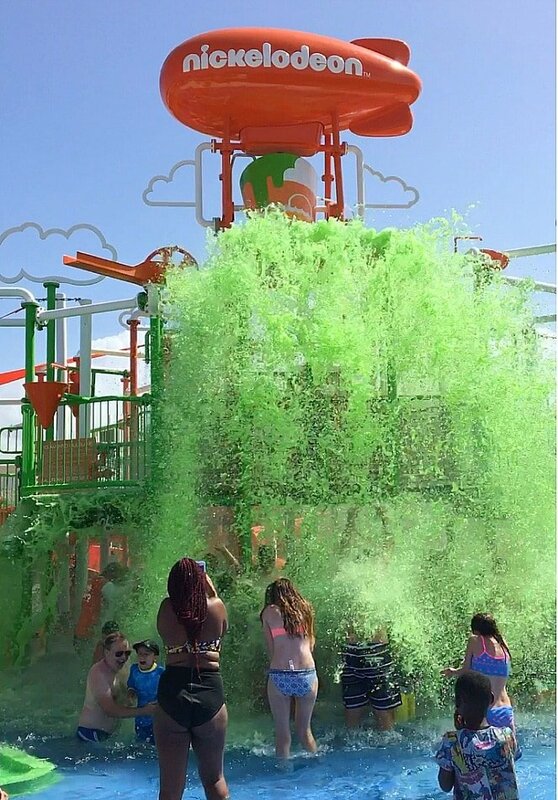 Want to get slimed? You know you do! Be sure to sign up for a slime time at the front check-in stand at Nickelodeon Place. Or join the mass sliming that takes place at 3 pm each day. Don’t forget your camera! I was pleasantly surprised by the sophisticated decor in the rooms, lobby and restaurants at Nickelodeon Hotel Punta Cana. My daughter, on the other hand, was excited to spot touches of Nickelodeon throughout the resort. Look for painted shadow Nickelodeon characters on the buildings and SpongeBob’s pants etched into the the glass bathroom wall. 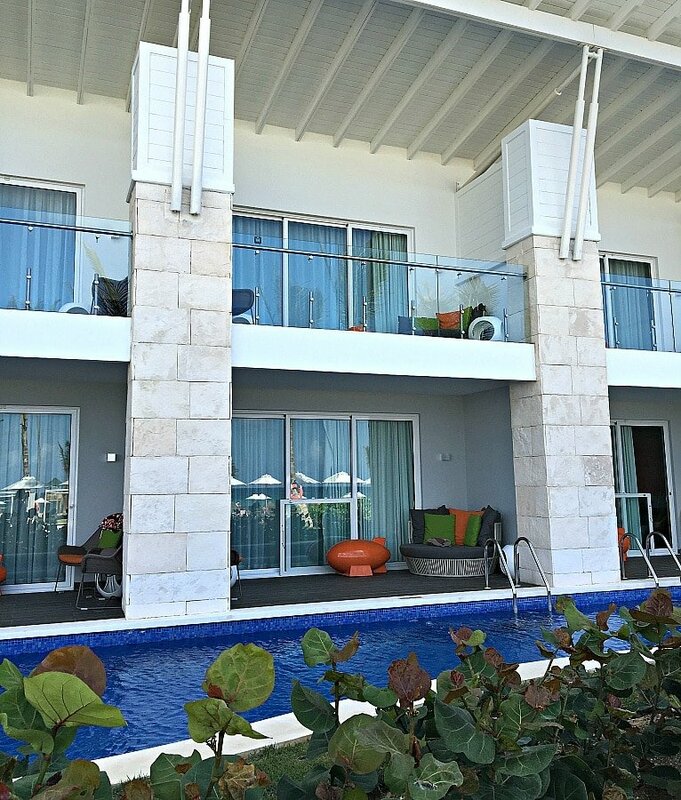 Nickelodeon Hotel Punta Cana offers a choice of 208 oversized suites, in seven styles. They’re all gorgeously decorated with high-end furnishings, clean modern lines, plush bedding, and bright accents. Kids love the quirky accessories like pineapple-shaped vases and orange blimps. 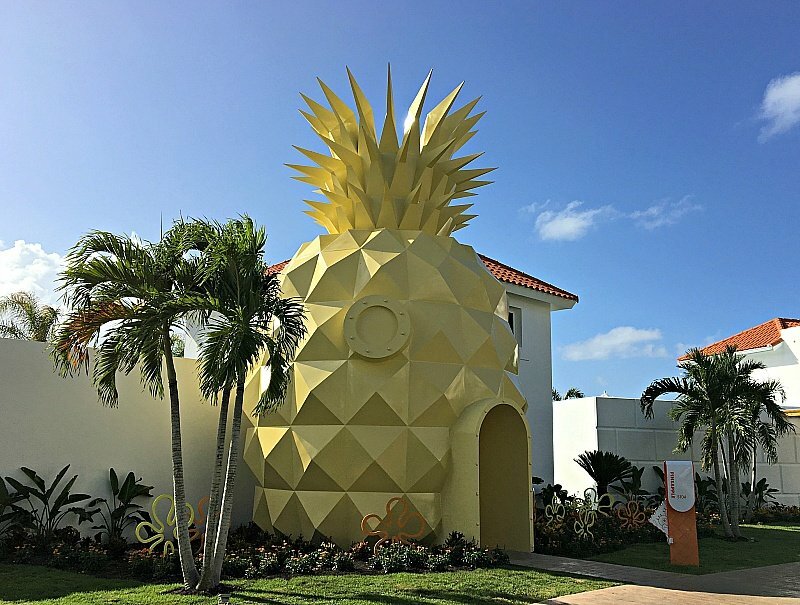 From Pad Suites and Flats to SpongeBob’s signature villa, The Pineapple, the accommodations wow guests of all ages. If your kids love to swim, the Swim-Up Suites are sure to please. Each suite features a spacious bathroom with double sinks and free-standing tub, complimentary WiFi, free local phone calls, and a fully stocked (all-inclusive) mini-bar. In true five-star style, a dedicated concierge center is assigned to each room. This makes it easy to request a ride, get directions, and ask any questions about the hotel or surrounding area. Most employees speak some English and I speak some Spanish. I did, however, find myself playing a bit of charades here and there. Delivering Karisma’s renowned Gourmet Inclusive® Experience, the cuisine at Nickelodeon Hotel Punta Cana is a hit with grown-up gourmands and junior travelers alike. Guests enjoy an array of culinary options at eight restaurants, one gourmet center, two bars and lounges, one coffee shop and 24/7 room service. Most restaurants offer children’s menus, too. For lunch, Fresco Bar and Grill offers casual poolside fare. Or choose Aqua Bite’s burgers, pizzas, and salads. Doppio coffee shop offers delicious smoothies. Plus, two swim-up bars serve frosty poolside cocktails and mocktails all day. Most dinner reservations need to be booked days in advance. Try to map out a schedule before you arrive. 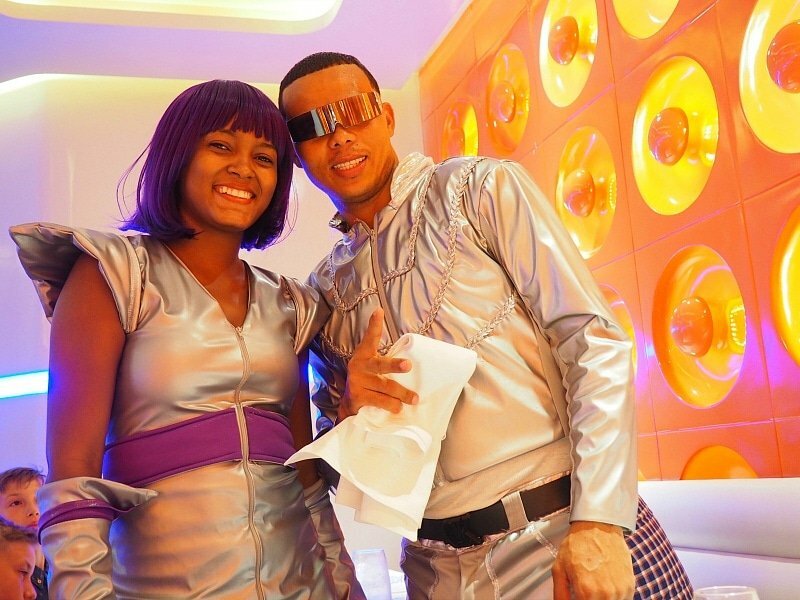 A Jetsons-like waitstaff serves diners at Space Walker in a space shuttle-themed restaurant. Wok Wok’s Far-East fusion includes sushi, spring rolls, noodle entrees and more. For Italian cuisine, including wood-fired pizzas, book a table at Verdello. 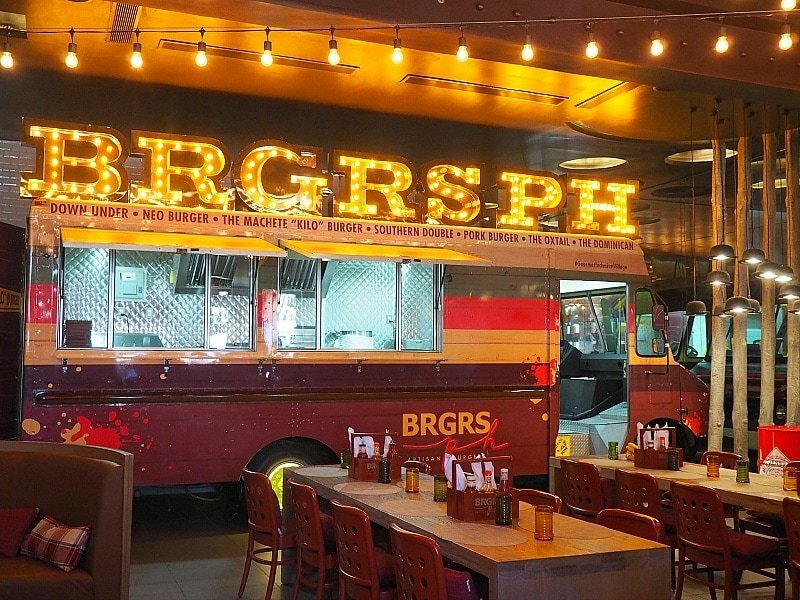 Burger lovers rejoice at BRGRS.PH, for its selection of burgers, sliders, wings and salads. For a special date night, dine at the adults-only Kitchen 2, where guests aged 18+ delight in molecular and traditional dishes. Of all our meals at Nickelodeon Hotel Punta Cana, Sugarcane impressed me most with its quality and variety of foods. At first glance, I thought it was a typical buffet. But then I was pleased to note the foods were being prepared directly at the stations. Choose from every imaginable breakfast option, plus made-to-order omelettes, an amazing fresh juice bar and a chocolate fountain with fruit kebobs. This makes a great way to start your day since you can quickly eat and be on your way. The highlight of our trip was the character breakfast at Zest. Parents will appreciate the airy space and fresh food. Children will love dancing and posing with their favorite Nickelodeon characters like SpongeBob, Patrick, and Dora the Explorer. The characters and photographers aren’t rushed and there is plenty of space to dance, making it one of the best character meals I’ve experienced. Be sure to book in advance! The Just Kiddin’ kids club provides an air-conditioned retreat for kids aged 4 to 12. Kids enjoy craft projects and cooking lessons, as well as toys and games galore. Best of all, kids can slide into a giant pit of peas and carrots (green and orange colored balls). My daughter happily played here with her new friends while I enjoyed some downtime. The facilities were clean and fun. Plus, the staff was very professional and the kids were always smiling at pick-up. The Character Center hosts various Nickelodeon meet and greets. Nightly character performances wow kids in the Plaza Orange area. The massive Sports & Entertainment Center features an indoor game room, two game courts, and oversized chess games. I imagine this will be a huge hit with tweens and teens. If you’re looking for an upscale retreat the whole family will enjoy, the Nickelodeon Hotel Punta Cana makes an outstanding choice. Ready to visit? Check out Groupon’s Nickelodeon Hotel Punta Cana discounts now! Read more about this hotel on TripAdvisor and Hotels.com. 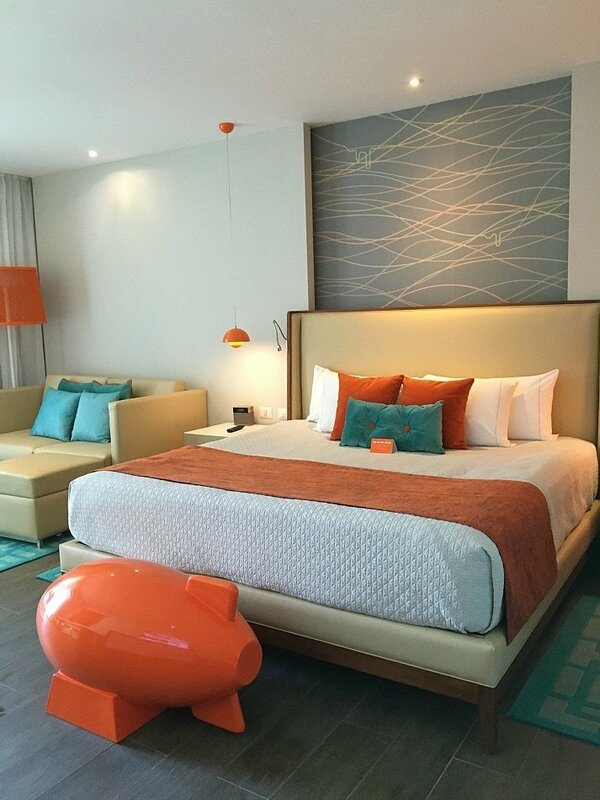 What’s your favorite thing about the new Nickelodeon Hotel Punta Cana? Tell us below in the comments! 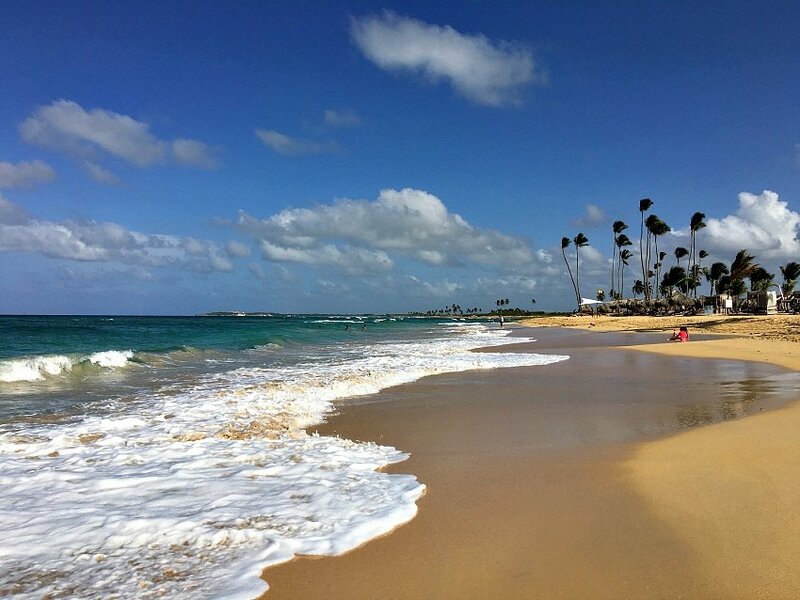 A Note from The Globetrotting Travel Mama: I was hosted during a recent stay at Nickelodeon Hotels & Resorts Punta Cana. All opinions are mine, as always. That looks like so much fun! My kids would love to go somewhere like this. I would love to be able to take them here. Such a fun place for kids and grown ups too! We loved Punta Cana when we visited. The Nickelodeon hotel there looks like it would be a ton of fun for families. 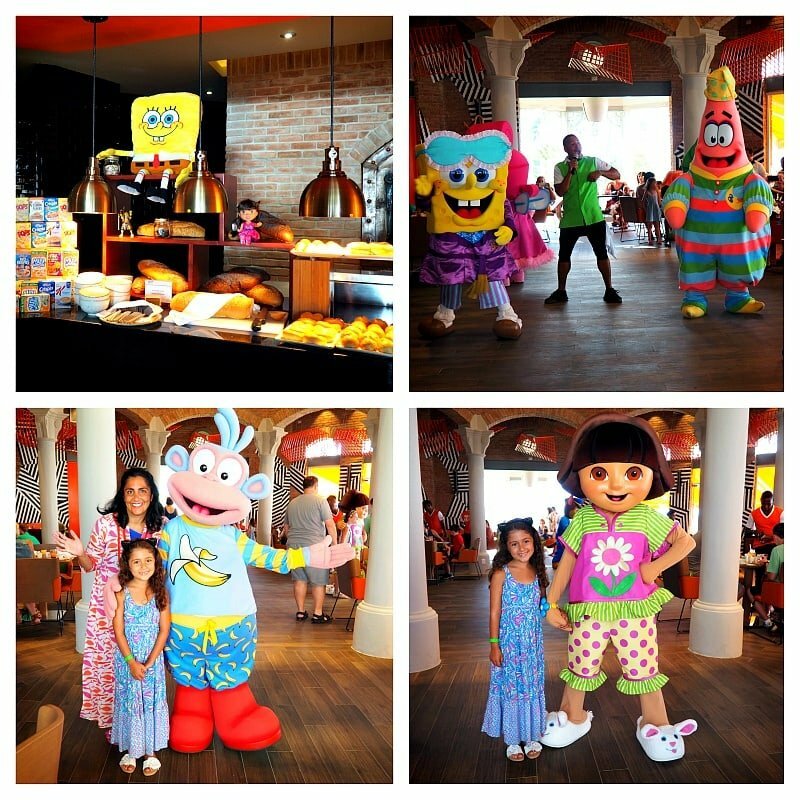 It doesn’t get much more family friendly than the Nickelodeon Hotel Punta Cana! 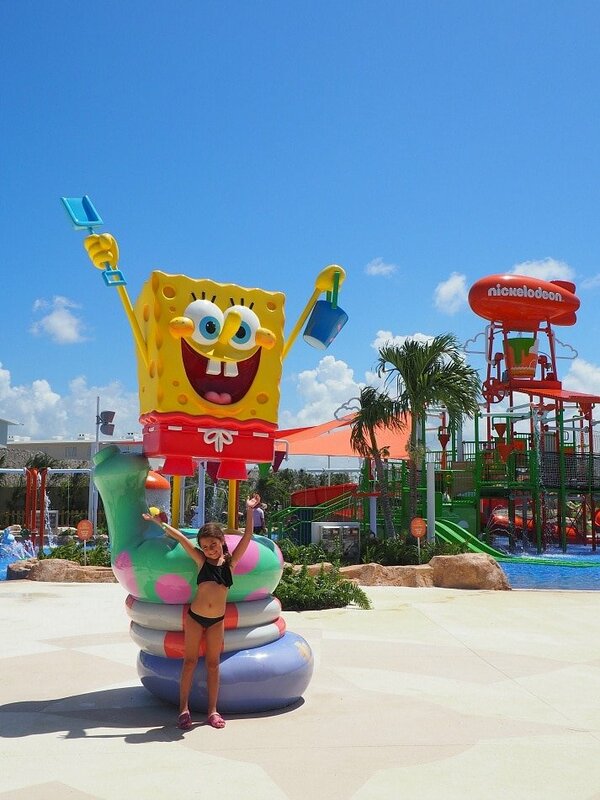 We are such fans of the nickelodeon hotel in florida and from all these pictures it looks like this one in Punta Cana measures up in every way. It is truly an all-inclusive experience for families no matter how big or small your kids are! So true. All-inclusives are the best for a relaxing getaway. I had no idea that there was a Nickelodeon Hotel in Punta Cana. This place looks an amazing spot for families! You’ll be hearing a lot more about it! Such a great spot for a family getaway. Wow, I never knew of a Nickelodeon hotel, how exciting! My favorite would be the colorful suites and taking photos with the Nickelodeon characters. It was my first Nickelodeon hotel and we loved it. Such a great spot for photography. Definitely. It’s an easy flight and lots of great beaches. I love that they have so many different styles of suites. I think we’d have an amazing time at this hotel. Yes, the suites were so luxe and inviting. Great choices for families of all sizes. This sounds like so much fun and I’d love to go there with all the kids! I’m not sure who would have more fun…them or me! I’m guessing you’ll all have a blast! What an amazing resort with so many gorgeous features! This is the perfect place to stay for any Nickelodeon fan, regardless of age. Agreed! There is definitely something for every kid (and adult) here. I like the suite options…because that means more room for the whole family and hopefully less bumping elbows and fighting. Yes, that is my favorite thing about staying in a suite. Plenty of room for everyone to spread out. The kids and I would love to go here. It looks like something we would really enjoy! I bet you and your family would have a great time. Wow, this looks like a blast! Holy goodness! I bet you guys had so much fun! So much fun and so much to do. This is so great! My family would love to go to a place like this. Such a great place for a family vacation. This is an incredible place, I would like to bring my son there. Surely, a place we can really enjoy. For sure! I bet you’d have a great time. I really want to go to Punta Cana. This hotel is amazing and I love the water slide and infinity pool. Such a fun place. The infinity pool was gorgeous. Planning to take my kids this winter. Thanks a ton for the info! So glad you enjoyed. Have a great trip! This place just looks total fun! I love the variety that I’m seeing, and you’ve done a good job highlighting the good parts. I would love to have an excuse to simply go to this hotel! Thanks Karla! I hope you get to check it out. The slime was so fun to watch. I hope you get to go and see yourself. This place just looks total fun, This hotel is amazing and I love the water slide, My family would love to go to a place like this. !Hi! Visiting here in June with my husband and three kids. We can’t wait! Can you make reservations online ahead of time or you have to do when you get to the resort? Any advice would be appreciated!